By G. G. Stokes, Jr. 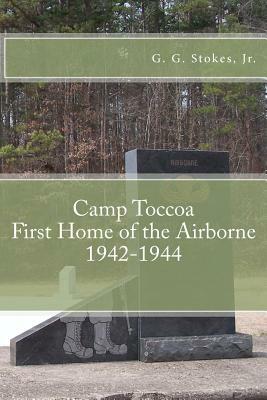 This is a short historical work covering the Federal Years of Camp Toccoa, Georgia; the original home of the US Army Paratroops from 1942 until 1944. It is the same introductory booklet found in the Currahee Military Museum located in Toccoa, Georgia, which is dedicated to all airborne units, especially the 506th Parachute Infantry Regiment made famous in the HBO miniseries Band of Brothers. It is intended to give museum visitors a quick background on the airborne training camp and the history behind the museum. A must read if you are planning a visit to the site as well as an excellent tool for World War II enthusiasts and researchers.